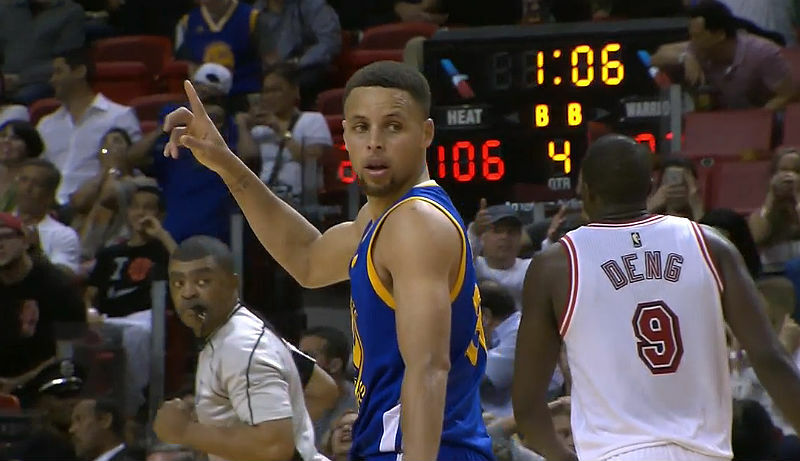 MIAMI, FL, Sporting Alert – Stephen Curry and Klay Thompson combined for 75 points and the Golden State Warriors beat the Miami Heat 118-112 in an NBA game on Wednesday night. SAN ANTONIO, TX, Sporting Alert – The final scores and recaps from the NBA games that were played on Wednesday night, January 27. There were victories for the Spurs and Warriors. 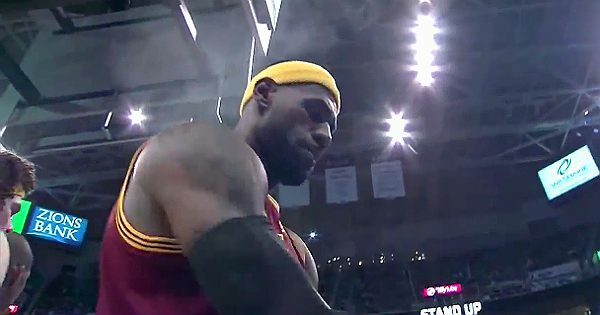 OAKLAND (Sporting Alert) — LeBron James scored 39 points on his way to a triple-double and the Cleveland Cavaliers picked a 95-93 overtime victory over the Golden State Warriors in Game 2 of the NBA Finals at ORACLE Arena on Sunday. OAKLAND (Sporting Alert) — Klay Thompson has been cleared to play for Golden State in Game 1 of the NBA Finals against Cleveland, the club reports on Tuesday. 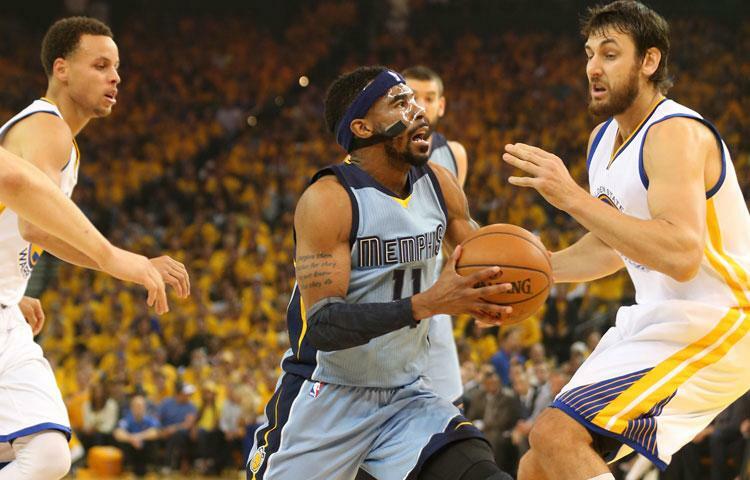 Oakland, CA (Sporting Alert) — Mike Conley scored 21 pts on 8-for-12 shooting in 27 minutes and the Memphis Grizzlies beat the Golden State Warriors 97-90 in Game 2 to even the series at 1-1. 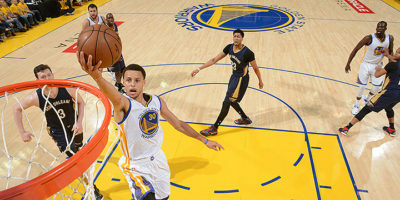 Stephen Curry scored 34 points in a 106-99 win for the Golden State Warriors in Game 1 of their Western Conference clash with the New Orlean Pelicans on Saturday. 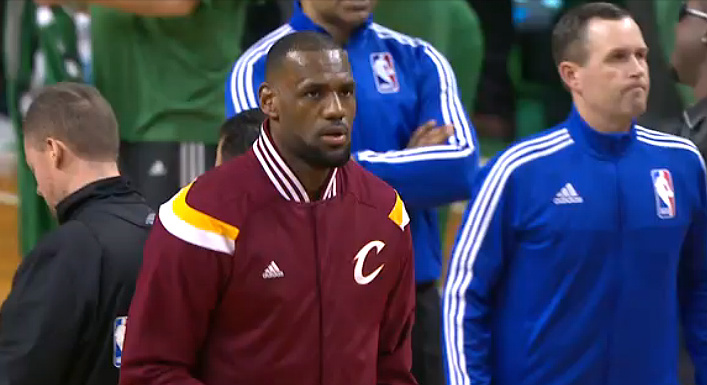 CLEVELAND, OH (Sporting Alert) — LeBron James scored a season-high 42 points to guide the Cleveland Cavaliers to a 110-99 victory over the Golden State Warriors on Thursday night. 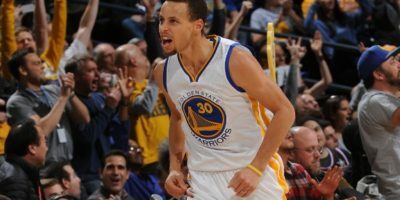 OAKLAND, Calif. (Sporting Alert) — Stephen Curry scored 36 of his 51 points in the second half to lead the Golden State Warriors to a 128-114 victory over the Dallas Mavericks on Wednesday night. Derrick Rose and Pau Gasol each collected double-doubles and the Chicago Bulls used a strong second half to beat the Boston Celtics 119-103 in the NBA on Friday night. 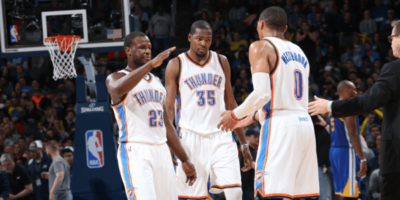 Also on the night, Kevin Durant scored 36 points and pulled down nine rebounds and Serge Ibaka added 27 points and eight boards in the Oklahoma City Thunder’s 127-115 victory over the Golden State Warriors. 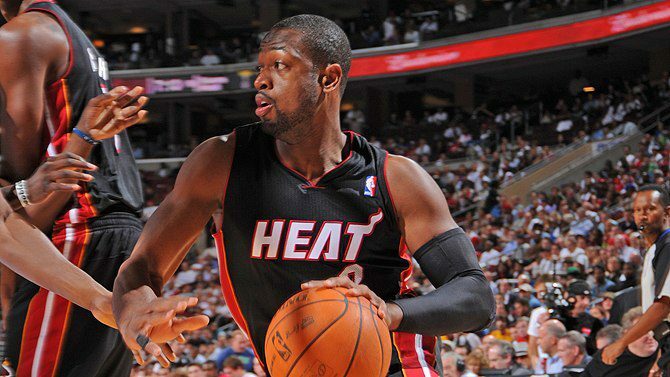 MIAMI (Sporting Alert) — The Miami Heat and the Golden State Warriors both picked up wins in the NBA on Sunday, Nov. 2. Klay Thompson scored 29 points on 11-of-22 shooting and Stephen Curry added 21 points, six assists, five rebounds and two steals and Golden State (3-0) beat the Portland Trail Blazers, 95-90 at Moda Center. 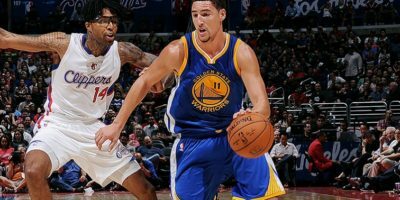 OAKLAND, Calif. (Sporting Alert) — Klay Thompson scored a career-high 41 points to carry the Golden State Warriors to a commanding 127-104 victory over the Los Angeles Lakers at ORACLE Arena in Oakland on Saturday night. Thompson, who shot 14-of-18 from the field and 5-of-7 from three point range, was well supported by Stephen Curry, who addd 31 points, 10 assists, five rebounds and three steals in the win, as the Warrior shot 55-percent from the field and 48-percent from long range.